At many levels, the job of a critic is quite simple. It is easy to toss away the hard work put in by someone by a few negative remarks. In the world of motorsports, a certain similar trend follows too. Many regard motor racing as an “expensive entertainment”. The concept of cars running in a loop around a track seems unnecessary to the unpassionate eye. There is a certain degree of uncomfortable gossip about motor racing committees surging in more money even as the world’s fuel resources are depleting. But little is known to such people that it’s the technologies on the race car that are eventually incorporated on road cars, and once every 10 years something new always comes up that changes the ball game. 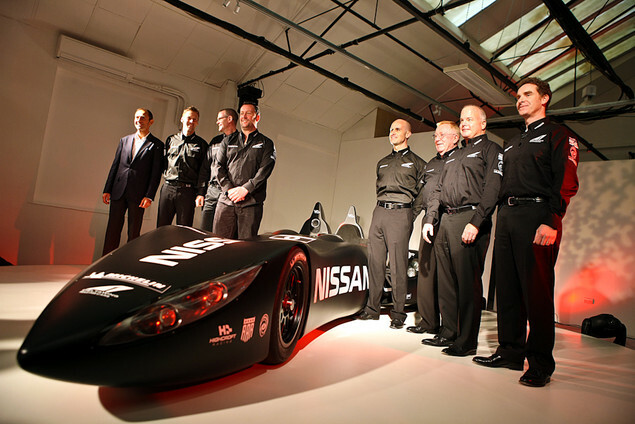 This time, it’s the NISSAN DELTAWING. And I reckon this right here is the very revolution that motorsport will be adapting to in the coming years. You look at this picture and then you think to yourself – Would batman’s race car look something similar when he had no villains to fight over the weekend? Or is it some sort of a tribute to the highly acclaimed SR 71 blackbird by the automotive world? It’s triangular shape. So it looks like a black arrow darting through the Tarmac when compared to the very obvious looking Le Mans cars, similar to the Toyota seen in the back. It’s got 4 inch wheels in the front separated by a distance of a staggering 15.6 inches only!! So that means its rear wheel steering. Right there, it takes me by surprise. Seriously, when was the last time you heard of a racecar that’s real wheel steered? The angular front translates to lesser frontal area, meaning significantly reduced drag, therefore lesser fuel consumption and far lesser pitstops. And as we all know, in motor racing, that’s a lot of time saved. All of this adds to uniquity of this car. The designer of this mad machine is as crazy as you might have already perceived him to be. But there is more logic in his philosophy than his absurdity. 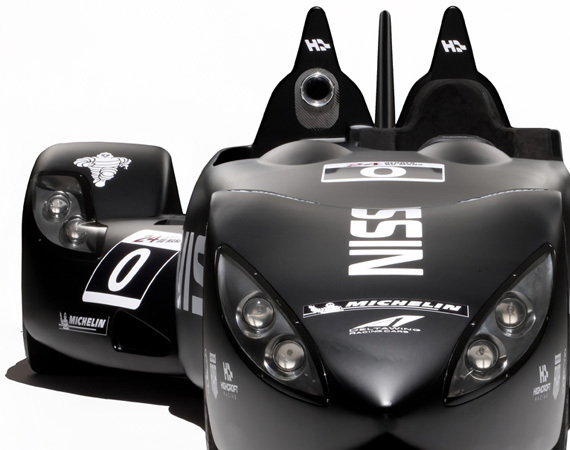 Ben Bowlby, the creator says- With half the weight, half the drag, half the power and half the fuel consumption, the Deltawing will race at the same speeds as a modern day Le Mans car. “Racing is going to die if we can’t capture the imagination of a new generation of motor-sports fans”, says Bowlby. Getting to the interesting bit now (and proving my point), the specs- Power is developed via Nissan’s meager 1.6L turbocharged inline 4 pot, coupled with a 5 speed sequential manual ‘box. So it’s not what you’d call a power train that would deprive you from your sleep. But here’s the good part – chassis is based on an Aston Martin AMR tub, with Recyclable Energy Absorbing Matrix System (REAMS) body panels. This material is a composite plastic made up of woven threads of polymers as basic as PVC. That makes it a lot more cheaper and lighter than the already well established material in motor sports, carbon fiber. REAMS can block bullets, whereas carbon fiber shatters on impact. All of this means that the car weighs in at about 475 kilos (dry weight). If my basic math skills haven’t failed me as of yet, that’s an unbelievable 631 bhp per tonne. Bugatti engineers will be rueful of hearing that. I mentioned that once every 10 years in motorsports a revelatory race car or race- inspired technology springs up. Elaborating, in the 1950’s engines were pushed from the front to the centre of the car for better weight distribution and dynamics. Then in the 60’s, cars with wings were among the first few weird creations in that decade. And 10 years later, the whole industry went berserk about ground effect and underwings cut into the bottom of the chassis producing more downforce. In the 80’s, Lightweight carbon fiber became a standard amongst all teams and the following decade gave rise to all sorts of electronic aid like traction control, adaptive suspension and all the hoolah that made even an ordinary driver compete wheel to wheel against a top notcher. 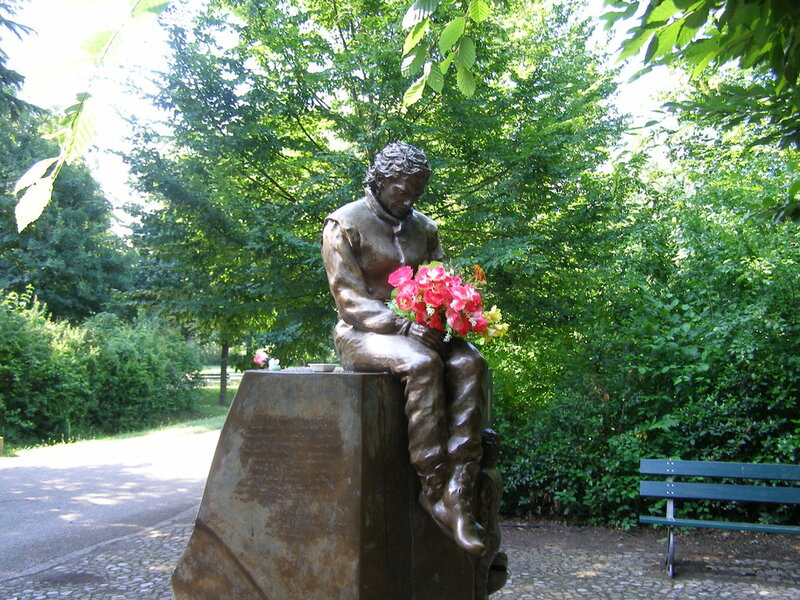 Ayrton Senna statue at Imola, Italy. Make no mistake in capturing my point here that every breakthrough technology or wild concept in the last century as mentioned above has now become a routine implementation in our everyday road cars too. The Deltawing then would be the most ingenious creation of our decade, not just automotive-ly speaking. Defying convention through every inch of it’s triangular body and within, I for one will not be surprised when cars will adopt the same philosophy or technology of this polarising racecar. So in the future if you happen to read about BMW or Peugeot revealing their flagship models in 2016 with REAMS body panels, then you where it came from. Embracing wacky concepts as this will only result in the betterment of future mobility and a greater balance in life..and silence a few critics maybe. So here’s to those unconventionalists, like Bowlby and his team.